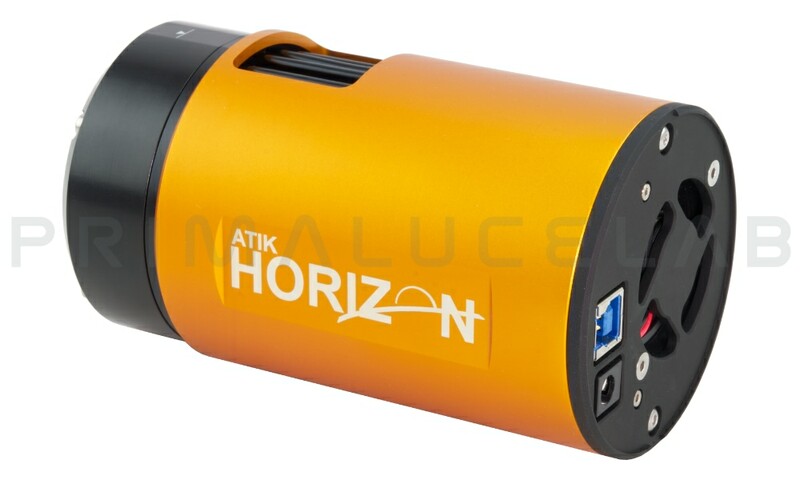 Atik Horizon is the first Atik CMOS Camera. 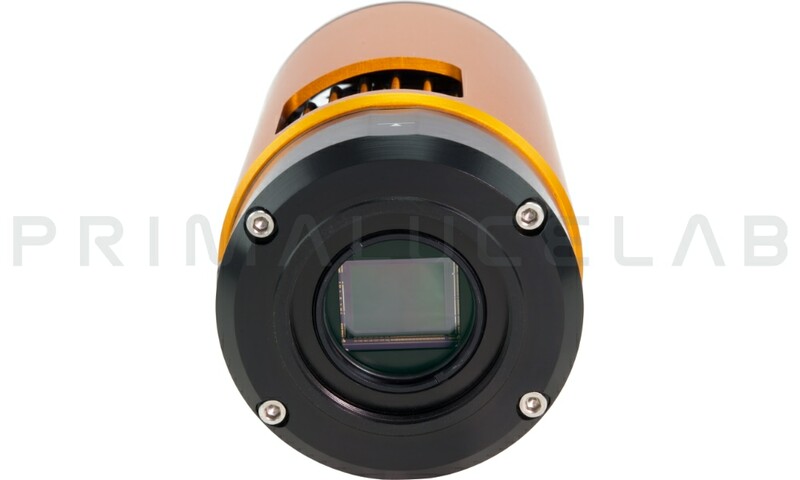 It houses a 16MP sensor with exceptionally low read noise and incredibly fast read speeds. 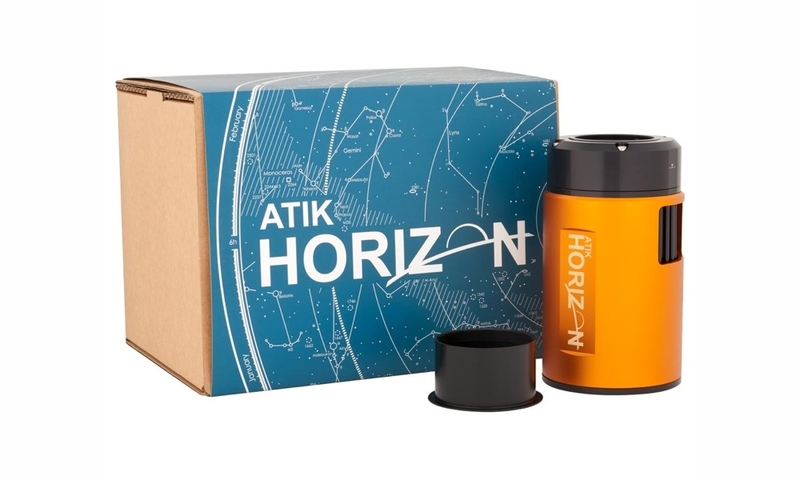 Atik Horizon provides a sensitive, high megapixel sensor at a competitive price point. This makes it a great option if you’re looking to upgrade from DSLR, or have system that would benefit from shorter exposure times. Atik Horizon turns Atik hardware and software design expertise to the world of deep-sky optimized CMOS cameras. Already known for our low-noise electronics, the Horizon has Atik lowest read noise yet – just ~1e- at high gain settings. The 3.8µm pixel size is an excellent match for shorter focal lengths and camera lenses; great news if you’re looking for a wide field of view. Horizon is based on established 4-Series cameras, known for their power and adaptability. With a cyclindrical case measuring 74mm in diameter and 130mm in length, it’s compatible with HyperStar systems from 8″. The slight size increase on the 4-Series is to house a huge cooling delta of -40°C below ambient. This keeps thermal noise under control, wherever in the world you image from. The Atik Horizon is natively compatible with Infinity live stacking software to give you incredible views of the night sky in a near real-time environment. 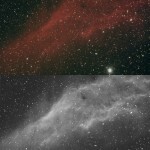 Not only is this great for video astronomers and public outreach, it also makes getting into astrophotography a breeze. Our on-the-fly image processing gets you up and running quickly, minimizing the learning curve many people experience. However, advanced functions ensure you are always in control as you steer your way through the night sky. The Horizon is also fully compatible with renowned Artemis Capture imaging software that gives you full control over your imaging. We also supply a full ASCOM driver so you’re free to use it with your preferred astroimaging software. Atik experience of working with demanding scientific and sealing techniques allowed Atik to create a condensation free environment, and means your desiccant lasts much longer between recharges. Horizon uses the same quartz fused cover glass as Atik 383L+ camera to prevent condensation forming on the outside of the glass when the camera’s cooled. This added level of performance and reliability means you can spend less time maintaining your equipment, and more time imaging with it.